Are there songs that make you go faster while you are running? Yes, there are! Ever since we saw Rocky Balboa train while listening to music, we started exercising with music as well. After all, there is nothing like having a good music pumping in your ears to set the pace while you run. The truth is, running experts are torn when it comes to the benefits of listening to music while running. Some say it is dangerous. However, there are studies that prove how it really helps you reach your running goals. As for me, I never run without bringing my music with me. I love to listen to my favourite tunes because it helps me relax or push myself harder. My running playlist actually depends on what I want to achieve while I run. So what are the songs that make you go faster? 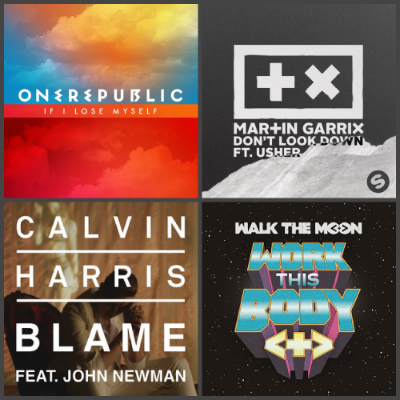 Obviously, these are the tunes that have a fast beat. I did some research and found that if you listen to music that has 10 beats per minute, that will help make your pace faster. It is also said that when you listen to fast music, you will run faster and your heart rate will increase. Despite that, you will not feel like you are working any harder. Believe it or not, my time was faster but I did not feel any difference! I guess it really worked. You can try it yourself. Make sure the beats per minute is more than 100. If you are having a hard time thinking about what you will pick, just go to Spotify and choose among their running playlist. They have a couple of selections for you to choose from.